This listing is for a digital download of 6 different sheets in an assortment of purples, turquoise, black, pink and tomato red sized A4 about 8 x 10 of mixed media designs that I painted and collaged using acrylics, watercolors, waxed crayons, gesso, hand painted collage papers, stamps and stencils. 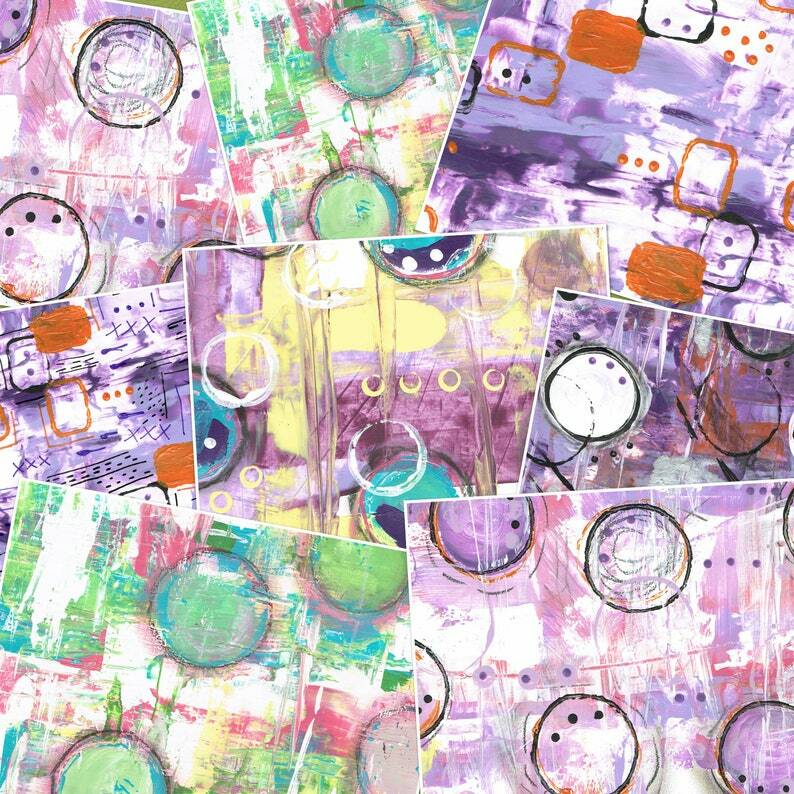 These can be used for journal pages, cut out for your own collages, scrapbooking and any kind of art projects. You will receive JPGs of these 6 pages. You will not have anything mailed to you. You will receive the download automatically through Etsy when the purchase has been completed.